From an Ayurvedic point of view, what is a Kadha? 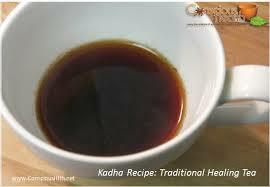 'Health delivered in a cup', Kadha or karha is a drink or brew in which a couple select spices, herbs and seasonings are boiled mostly in water. In some contexts, it is considered an herbal tea or even a therapeutic tea. 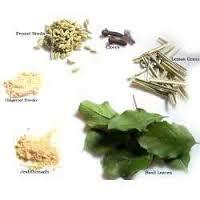 This is boiled for a longer time so as to maximize on its benefits by extracting the potent elements from them. 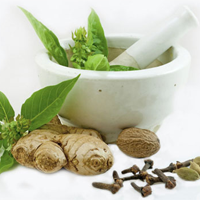 Depending on the ailment or requirements, the specific herbs are incorporated. 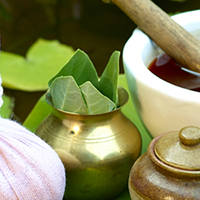 In India, this is a very age-old, prevalent practice that has been passed down from generations and a kadha is as much a commonality in households as in Ayurvedic therapies and treatments. This is a very safe, all natural, proven and powerful potion that has been the mainstay of Ayurveda defined treatments for simple cough, cold, fever, throat infections and stomach ailments. All that it does is it helps improve immunity or resistance power which in turn helps fight the sickness. This concoction with medicinal properties has proven effective even in weight loss and diabetes. The taste of the Kadha differs and varies as it is determined by the ingredients in it. One can sip this mixture, kadha as many times during a day. It can also be stored. But it should always be heated up before drinking. What doshas or body types does the Kadha work on? 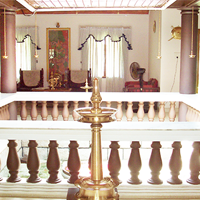 Typically, the kadha works on and helps pacify the vata and kapha doshas that have been affected or aggravated. A dosha is typically our body constitution. 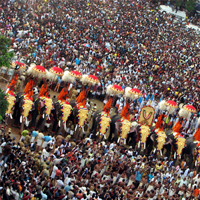 We are made up of more than one doshas, with one being dominant and the other playing second fiddle. 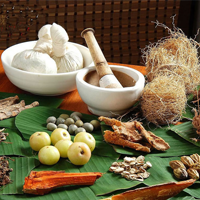 But in times of a sickness, both or one can be affected equally and we will have to treat and appease the affected dosha in the same manner. A good example of a kadha that helps doshas would be a blend of spices like pepper and herbs like ginger when combined in proportion and used to make a kadha, it has great benefits, producing heat in the body, helping alleviate respiratory troubles and improving digestion and also circulation. A Kadha incorporates herbs like dry ginger, holy basil or tulsi, ginger, spices like cloves, black peppercorns, turmeric or haldi, cinnamon, cardamom, fenugreek or methi, ajwain or carom seeds, fennel seeds or saunf, kesar or saffron and with additives like honey and clarified butter or ghee to help balance it. Over times immemorial, an herbal kadha has been the very basis of treating and curing certain illnesses, conditions and ailments. And Ayurveda has seamlessly incorporated this in treatments, therapies and used it to cure sicknesses. A Kadha has come in handy in addressing issues arising out of an erratic lifestyle like obesity, diabetes, back pain, knee pain etc. And a kadha has systematically helped alter, change and reduce the effect of these conditions, gradually and slowly. 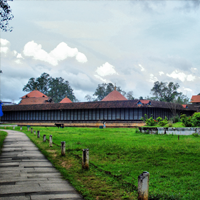 Most Ayurvedic centers, Ayurvedic resorts and wellness centers have effectively included kadhas to help treat and cure certain conditions and illnesses. 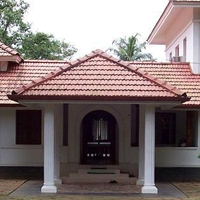 And in this, Ayuryogashram, a beautiful resort in Thrissur, Kerala nestled amidst eye-catching locales, has successfully used different types of kadhas to address different problems and issues. 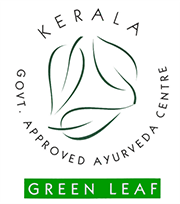 And not simply, as the results have been very promising and beneficial that Ayuryogashram relies on the powerful potion, Kadha. Kadhas are of different types. There is a decoction or kadha to help treat common cold, fever and cough. There are kadhas to help treat indigestion, flatulence, bloating and improve overall digestion. There are kadhas to help detox, improve your immunity and resistance power.Kadhas to help control blood sugar level and thus combat diabetes. And kadhas to aid in weight loss measures. 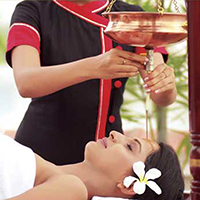 There is a Kadha known as Pathayadi Kadha that is specifically used to treat headaches, earaches and even migraines. Simply put, there is a kadha for any ailment.